The runner that leads off our list also led off many of his team's distance relays last season. Dublin HS has emerged as a distance power over the past few seasons and their talented sophomore was a big part of their success. 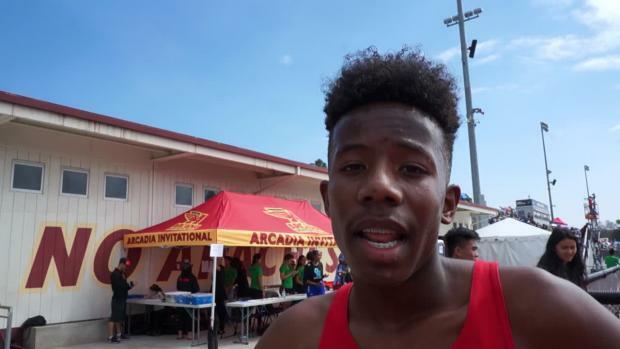 He led off their winning Arcadia Invite 4 x 1600 meters relay team and was just getting started. At the NCS MOC meet, Middleton-Pearson rolled to a 4:12.15 best behind eventual state champion, Liam Anderson. He gained valuable experience making the state final in the 1600 meters and will definitely be a runner to watch in 2019.